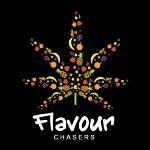 Here you can find all information about the cannabis breeder Flavour Chasers. We've collected data about 20 Cannabis Strains breed by Flavour Chasers. Click on the strains to find more informations, pictures, reviews, comparisons and sources for a variety - and/or check out the Breeder Info here at the page to find out more about Flavour Chasers. Its also possible to visualize all Flavour Chasers strains together with all their Parents or Hybrids with our dynamic maps - check it out! Click here to visualize all Flavour Chasers strains including all known hybrids and descendants with our dynamic map! Here you can watch all Flavour Chasers strains and their ancestors (sorted by origin) with our dynamic strain map! The Flavour Chasers journey has been an adventurous and at times tough one for the team. The idea was born in England with our team having the idea to bring all the best flavours across the pond from the US to the UK and Europe.Although all production is done from the heart of California our journey started way back when in London, We were sick and tired of not regularly having the "flavour" strains readily available in the UK and Europe and we felt this was unfair on all non US residents! , As soon as Cali introduced legal marijuana we headed straight over to produce the flavours of America for the breeders of England. This was something we had tried to produce in Europe but without the direct contact to the original strains things didn’t go quite to plan. This has been a long and bumpy process for us but after years of selective and precise breeding we have got our strains at, , a level where we believe the breeders of the world would be proud to grow any of our strains! We are always on the lookout for new strains and regularly coming up with our own crosses based on the most popular strains. We do a lot of experimenting and although sometimes it doesn’t work out we have managed to come up with some very tasty and interesting crosses which are now produced for seeds and not clone only!, At flavour chasers our only aim is to bring the best of the weed world to the masses and get the best flavours spread across the whole of Europe with new and exciting flavours always around the corner. Not only do we take our breeding seriously we also have a hybrid hunter team who go on the hunt for all the best hybrids to make sure we are always on top of the game!